Hemp seeds are produced from the hemp plant, also called Cannabis Sativa L. They have been highlighted and growing in popularity due to their nutritious value. 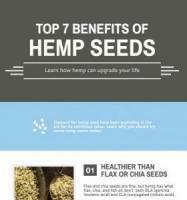 No other single plant source can compare with the nutritional value of hemp seeds. 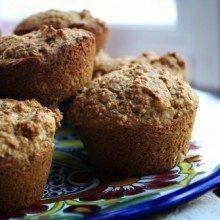 In its small seed, it packs a good source of amino acids, protein, fiber, and essential fatty acids. Hemp seeds are also considered to be more allergy-free than other seeds. 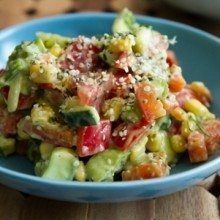 Hemp seeds can be eaten in so many different ways. It just really depends on your creativity. 1. What kind of hemp seed? 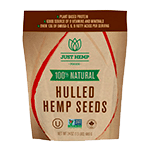 Hulled hemp, often called hemp hearts, is the entire hemp seed with the crunchy outer shell removed. Hulling the seeds, rather than eating as a whole, makes it easier to eat since the shell is quite crunchy. 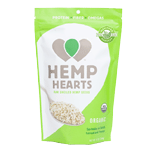 Removing the shell also makes the hemp hearts more nutritious, as it increases the overall percentage of protein and essential fatty acids. 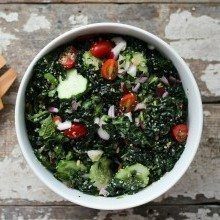 Hemp hearts can be eaten in numerous ways, such as mixing in shakes, cereal, or sprinkling some on your salad.Toasted hemp seeds are whole hemp seeds that are roasted in high temperatures for a varied length of time. This results in a popcorn like snack that makes it easy to snack on. Toasted hemp seeds are popular snacks in many countries around the world, especially in the Middle East.In addition to hulled & toasted hemp seeds, producers add hemp seeds as an ingredient to their products, as hemp is such a healthy supplement. Be on the lookout to see if you run into any energy bars or spreads that have hemp seed in them! 2. Where is it grown? Hemp is grown in most industrialized countries, except the United States. The US is actually the only industrialized nation that does not allow the farming of hemp (but this might change soon!). Many countries typically grow hemp for industrial use (construction, textiles, etc.) rather than for food. 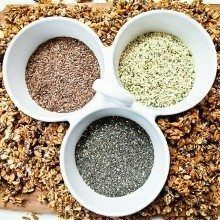 For good edible hemp seed, Canada is known to be the best quality. This is not only because of the taste of the hemp strain that the Canadian farmers use, but also because of the strict restrictions that the Canadian government enforces. Canadian farmers are only allowed to use hemp seed varieties that are listed under Health Canada’s List of Approved Cultivars. All hemp seeds from Canada are non-GMO verified, which means the seeds are not genetically modified. Canadian farmers also don’t use pesticides when farming hemp. You can also look for the “Pro-Cert Organic” certifications on the brands that you buy. This ensures that the seeds are free of synthetic fertilizers, pesticides, herbicides, insecticides, and fungicides. Lot of hemp manufacturers are now warning consumers to watch out for Chinese hemp that is flooding the market. Chinese hemp producers aren’t regulated as strictly as Canadian farmers. An easy way to tell the difference between Canadian hemp and others is by taste. Canadian hemp has much more of a nutty flavor whereas other seeds (especially China) have a very bland taste. Since you won’t be able to taste the hemp until you buy a packet, make sure to check their labels to ensure the hemp is certified from Canada! It’s relatively easy to find hemp seeds at your local grocery stores. However, there’s also a lot of boutique US brands that offer great hemp seed products through honest ingredients and fair prices. 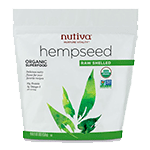 Check out our full unbiased review of hemp seed products below to find which brand offers the best quality hemp seeds and where you can buy them.